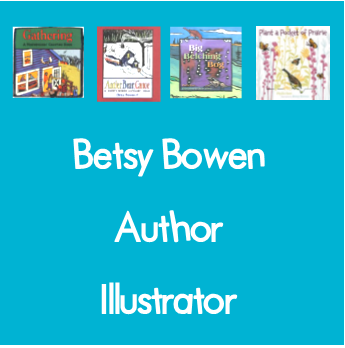 Betsy Bowen is a Minnesota author who lives in the northwoods of Minnesota. We used to live in her town and could visit her studio. Here are links to free instant downloads on this blog for some of the books she wrote or illustrated. 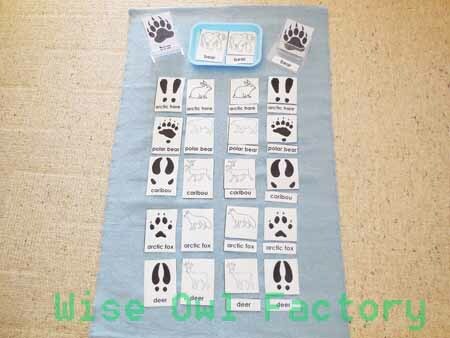 Animal tracks help children enjoy learning out of doors. What tracks might they find where you live? At this blog post, find the free printable for forest animals as an instant download. 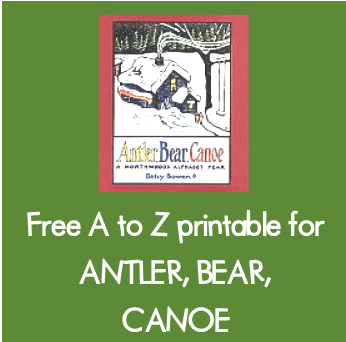 This is a free writing project with pocket chart cards for a response to reading Antler, Bear, Canoe. At this blog post find the instant download. There are 64 pages in the PDF. Students will make an A to Z booklet with supportive educational materials, such as pocket chart cards and other instructional teacher resources which are included in the printable. 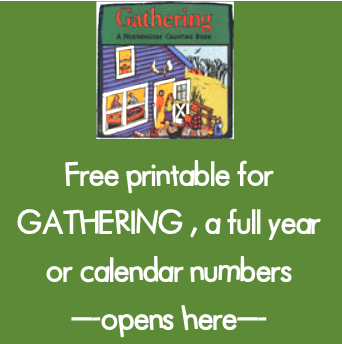 After the alphabet project, the book The Gathering could be used for number study. An instant download long vowel work page (and answer key), discussion thinking questions, and an drawing page are at this link. Do you read the Little House book series, either the novels or “my first” books? 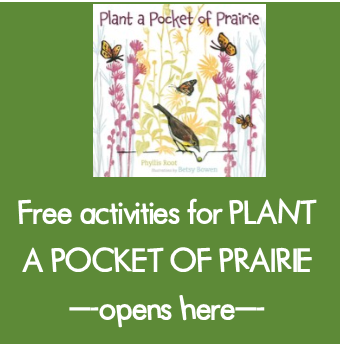 This printable is about the prairie and what plants live there. There are pocket chart cards to use as vocabulary builders. This actually was inspired by Plant a Pocket of Prairie, illustrated by Betsy Bowen. Free Power Point for Great Wold and the Good Woodsman (a Christmas story) with inferring Q and A for teacher and or students at this link. 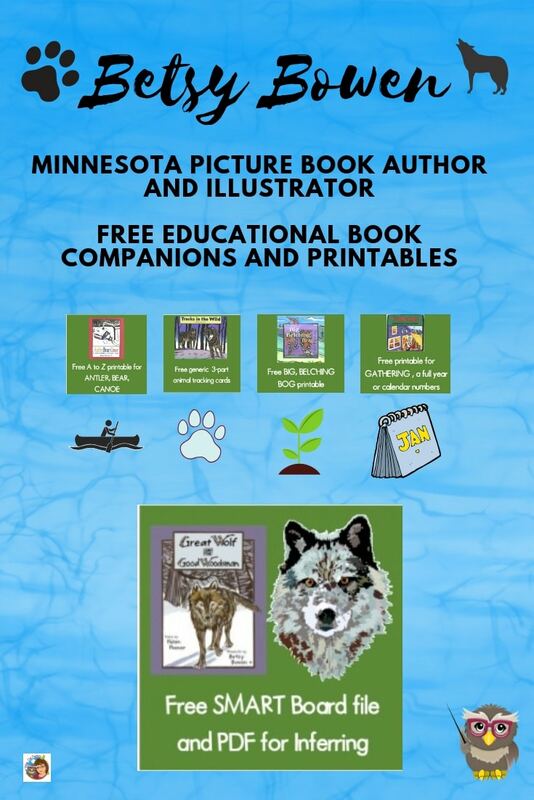 This is the same Great Wolf and the Good Woodsman lesson as above on a notebook file for SMART Board. Free instant download. 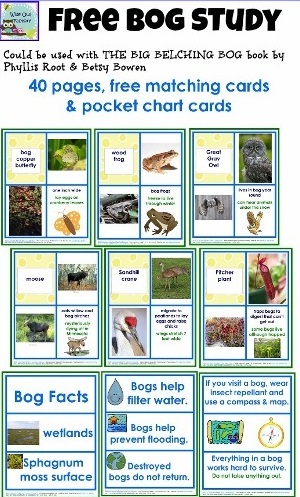 For the Big Belching Bog, I have a free bog study printable at the blog post.